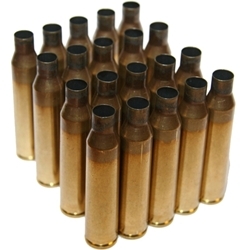 This once-fired-brass comes from the Barrett Test Fire Range and some pieces may have minor flaws as a result - however most flaws will disappear when resized or fired after reloading. This brass has NOT been deprimed, tumbled or had crimps removed. STOCK AVAILABILITY DEPENDS ON FREQUENCY OF RANGE TESTING.